In his first comedy special for EPIX, Dennis Miller examines the current state of our Union. From the antics of those running Washington, to the blunders of President Obama’s healthcare initiative, to our wild efforts to save the planet one light bulb at a time, his take on today’s America is both hysterical and painfully right on target. 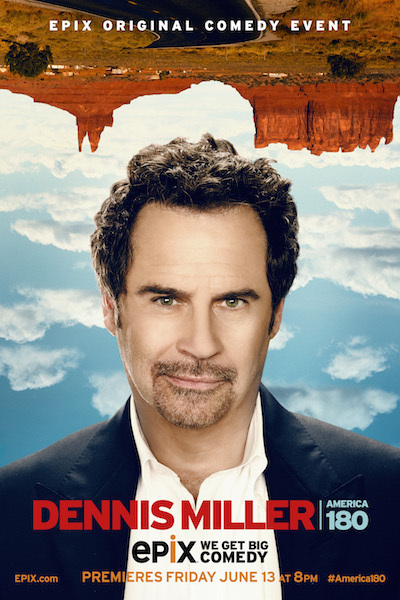 Dennis Miller: America 180° was taped at the Barclay Theatre in Irvine, California.